I saw this shoes of mine again just yesterday. It need some love to be able to wear it again so I decided to revamp it because I also need a blue footwear for my blue and green combo outfit. It was once left on the floor and bitten by our dog. Its ribbon was detached and I don't know where is it now. I decided to replace the bow with the one that I made out from some remnants of cloth. If you want to see the tutorial on how I made these bows, just click here. 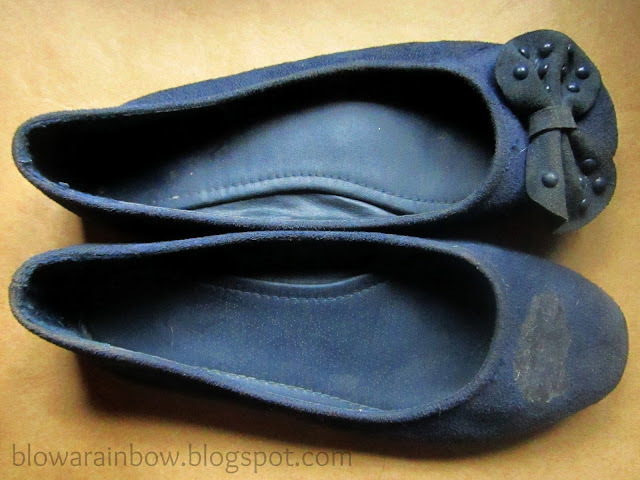 Detach the remaining shoe decoration and replace it with a new one. 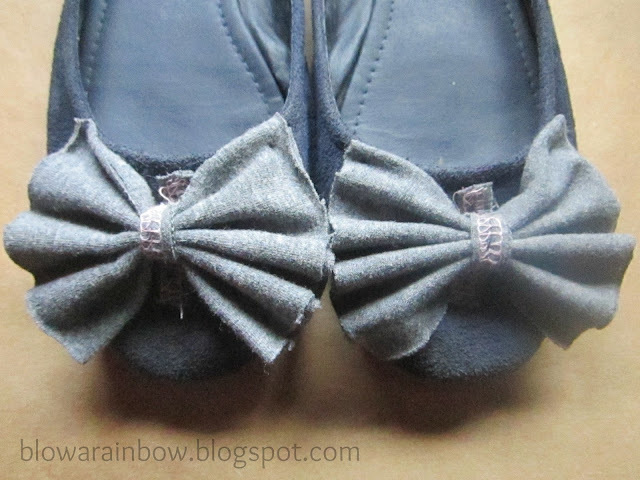 Sew the bow into the shoes. Just do the over-and-under motion. 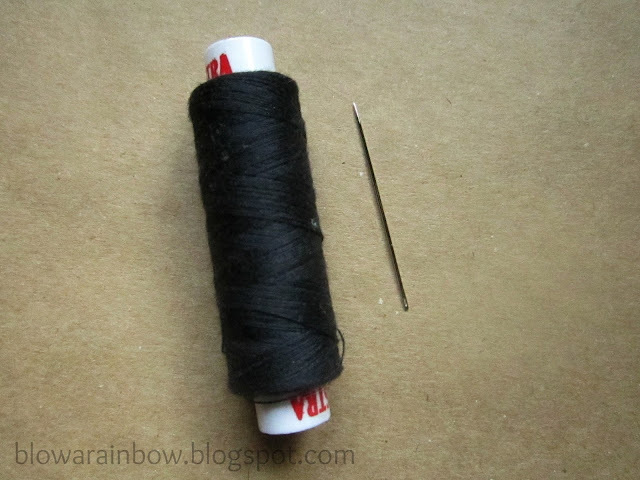 Seal the side with a single stitch. And tada! Your shoes have been revamped now! I hope that I have inspired you with this post. Show some love with your clothes and shoes to make a more amazing fashion statement! I love to revamp things because they can be different from the one you bought. A thought of having a thing that can easily be transformed into another one by showing some love and spending some of your time. 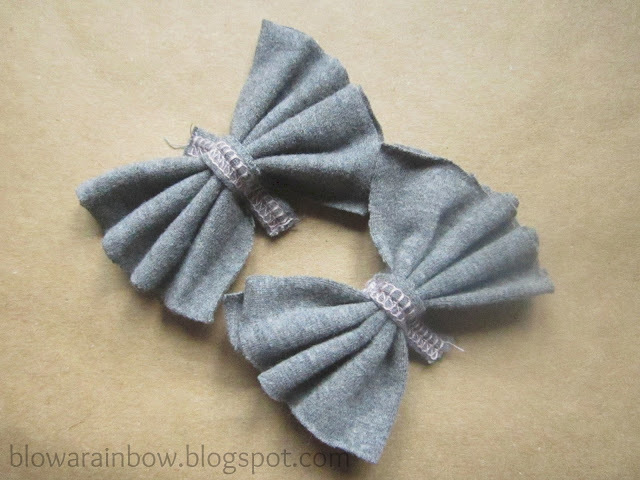 For bow tutorial, just click here. That's awesome! I probably never would've done that. I would've just kept my shoes in the closet and never worn them again. Next time something like that happens to my shoe (because it has and it will...I have a dog too), I'll try to fix it if I can. Wow these look amazing! Such a great idea. I love the revamp - I'm currently working on doing up a pair of heels too. Can I suggest adding a extra button/badge/gem on the center of the ribbon if you don't want to leave the rough hem exposed? I think they would definitely add a little extra to them. Thank you for your loving comment!!! I follow you through Bloglovin!!!! I already follow you through GFC! 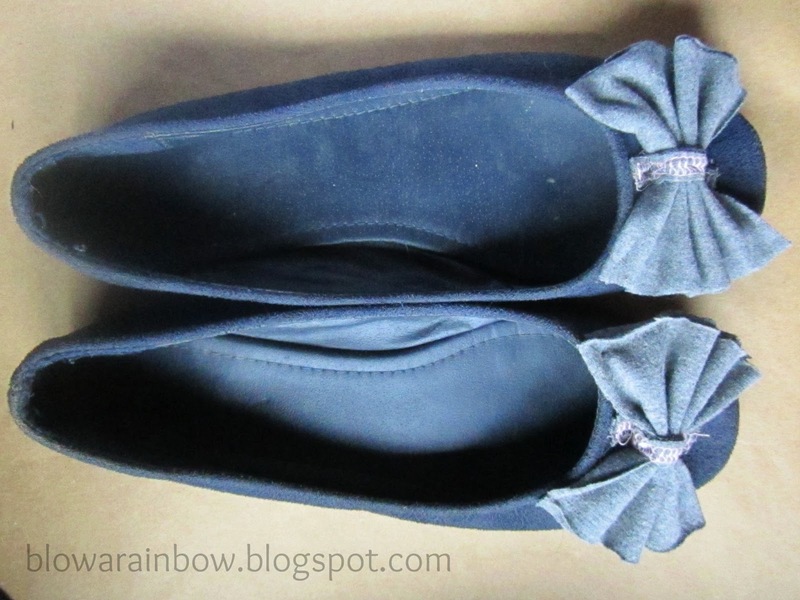 Such an adorable DIY, you totally changed these shoes! I learn a lot from your blog. I like this 'revamping'. I super love this post! Great job dear!they are all new, and unique now! They're as cute with the new bows as the before bow. Awesome job!